The Holbrook Club Table Tennis Section welcomes new players. We hold our Club Night on Monday evenings starting at 18.00 (although this is brought forward to 17.00 during the school holidays). 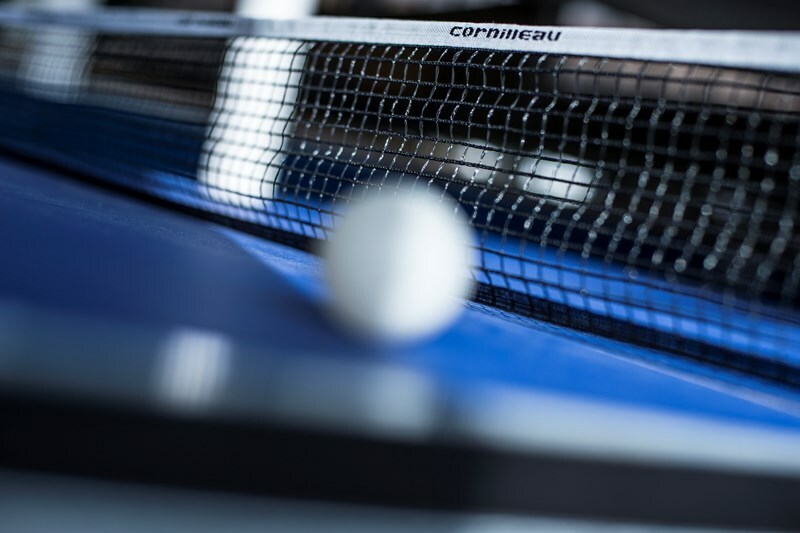 From mid -Sept league matches take precedent from 19.15, but there is often a spare table for club night to continue. league matches take precedent from 19.15, but there is often a spare table for club night to continue. Attending Club Night is free to all Holbrook Club Members who are welcome to come along and join in. (N.B. Under 14s must be accompanied by a supervising adult as per Holbrook Club rules). We cater for a wide range of playing abilities and ages at our Club Night. We would be particularly interested in anybody who wants to play league table tennis for the club next season, as well as social players. and two in division two. Away matches can be played on any night of the week. Home matches will be on Monday and Wednesday nights. If you are interested, then the best thing to do is come along to one of our Monday evening Club Nights to talk to us and join in. Posted in All News, Club News.